This world is dualistic. Matter and consciousness are two seed elements of its existence. Both can be useful as well as problematic. The basic three potentialities of matter are to sustain life, fulfil needs and bring satisfaction. The fundamental sources of consciousness are three senses, mind and emotions. Sensual perception of matter makes the mind fickle, sprouting the seeds of desire and attachment in the emotional area of brain. The whole system creates the cycle of endless problems and sorrow. The medium to break this cycle is restrainment of senses, concentration of mind and purity of emotions. This is the role objective of Preksha Meditation. Breathing, Psychic centers, colours and mantra, practices render primary support at the initial stage. Contemplation is also the supportive element of Preksha Meditation. The practice of contemplation is very effective for bringing change in habits and transformation of consciousness. Alternatively practice of meditation and contemplation, being backbone strengthen the spiritual practice. Canting of Mantras is also very helpful and influential. In Preksha Meditation one concentrates on sound and vibration to travel beyond them. A practitioner can never reach at the level of excellence right at the beginning step. Hence methodology has been designed, keeping in view the progressive development in this field. The practice of Upasampada (guiding principles of Preksha Meditation) builds the basic foundation of meditation and contemplation and thus leads to the ultimate destination. 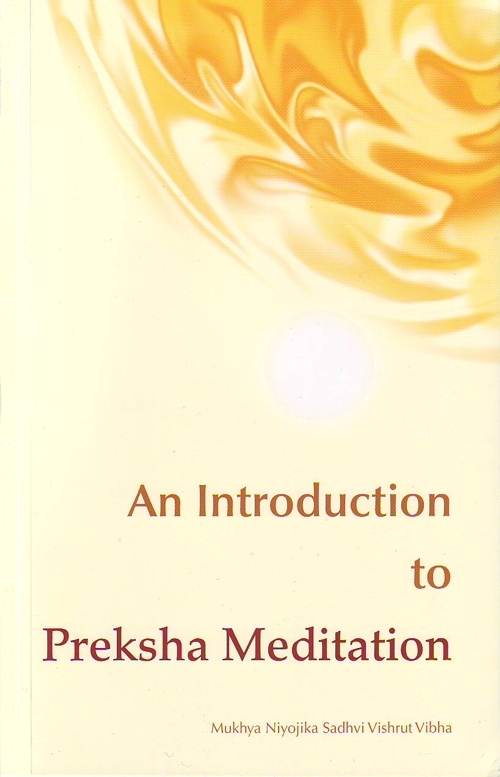 Mukhya Niyojika sadhvi Vishrut Vibha has written this introductory book on Preksha Meditation for its awareness. It will help to draw a clear picture of its objective and methodology. It is essential to understand Preksha Meditation in a simple and scientific way. I hope this book will fulfil this need.